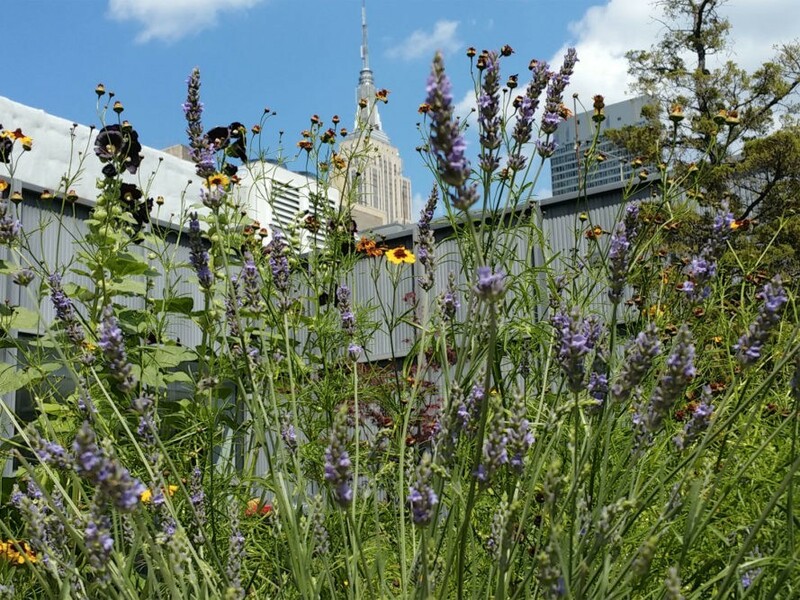 <p /> Sustainability came full circle at the <a href="http://www.ecouterre.com/tag/fashion-institute-of-technology/">Fashion Institute of Technology</a> this week. 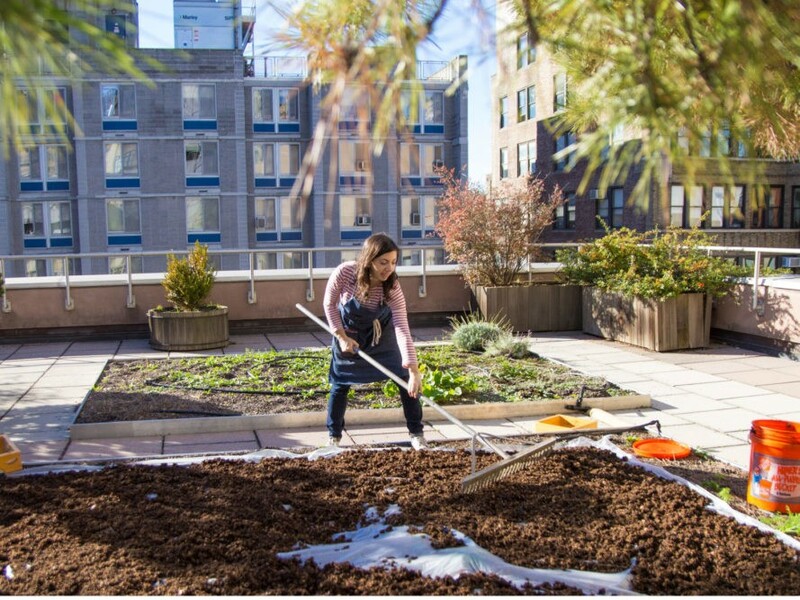 While the college has a robust sustainability commitment that manifests itself in myriad ways, perhaps the best examples of student innovation in sustainability come in the form of two student-initiated and –run projects: the <a href="http://www.fitnyc.edu/sustainability/campus-groups/student-initiatives/dye-garden.php">Rooftop Natural Dye Garden</a>, and now the <a href="http://news.fitnyc.edu/2015/07/27/muslin-composting-project-underway-on-fit-campus/">Muslin Compost System</a>. 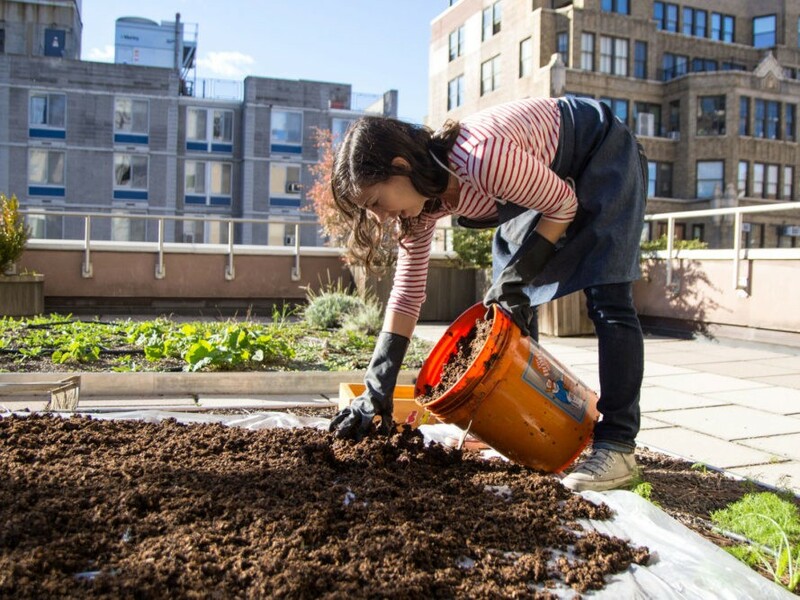 This week, the two projects intersected when the nutrient-rich compost that has been “cooking” for several months in bins on the FIT campus became ready for spreading on the dye garden, where it'll help prep the soil for next spring’s plants and flowers. 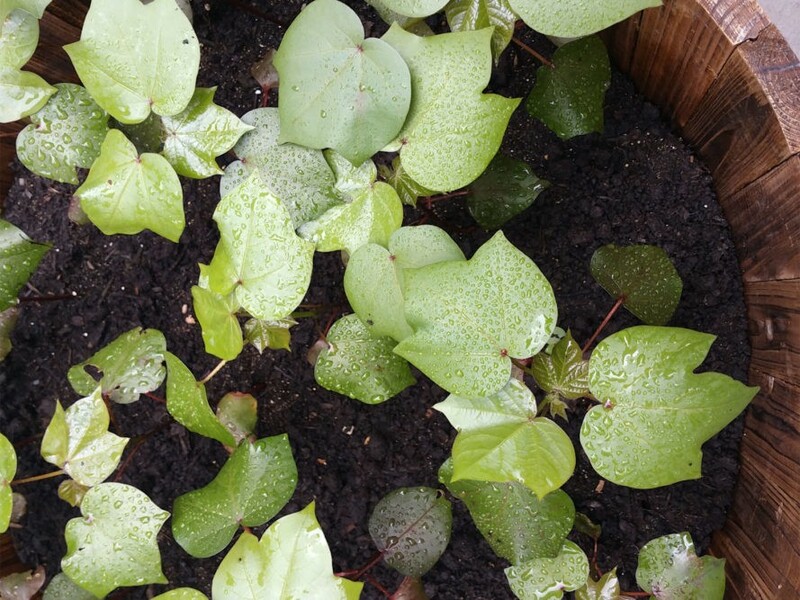 <p /> The dye garden was started two years ago as a pilot project to demonstrate that fabric dyeing, which packs a heavy environmental punch, could be done with specific plants and flowers that are grown, then harvested and dried, to become a source of natural dyes. 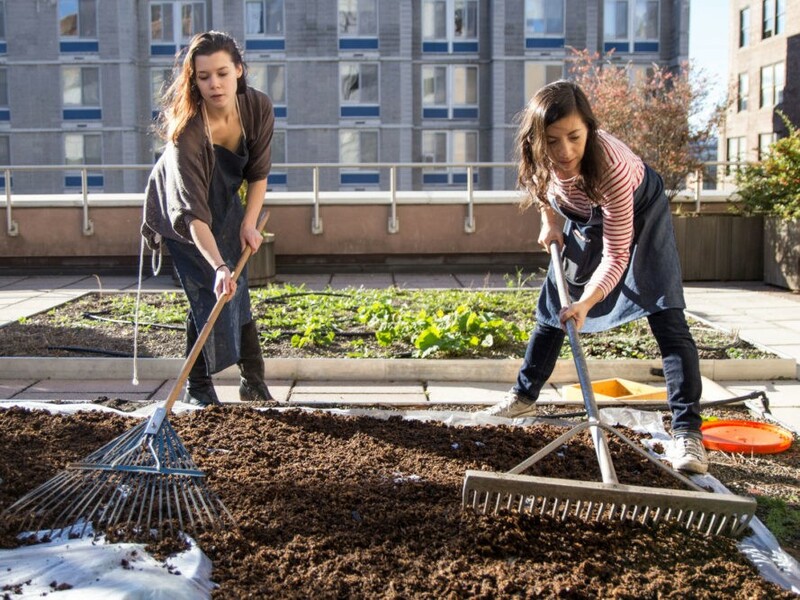 <p /> In a separate but related initiative, two final-year students from textile development and marketing, Lydia Baird and Willa Tsokanis, developed the FIT Muslin Compost System,in answer to their own question: the fashion industry uses so much muslin, why can’t some of it be recycled? <p /> When mixed with organic matter such as food and <a href="http://www.ecouterre.com/tag/recycled-coffee-groujnds/">coffee grinds</a>, it can, becoming a dense, nutrient-rich substance that can help fertilize and sustain growing plants, add beneficial bacteria, fungi, and worms to the soil to help it retain water and add biodiversity. 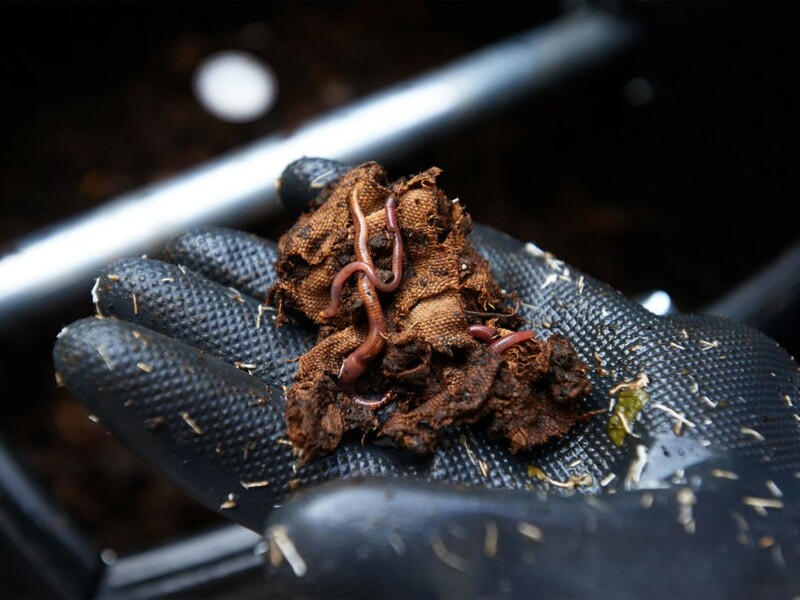 <p /> The compost was the result of 300 pounds of muslin and 200 pounds of food from the FIT cafeteria and coffee grounds from the campus <a href="http://www.ecouterre.com/tag/starbucks">Starbucks</a>. 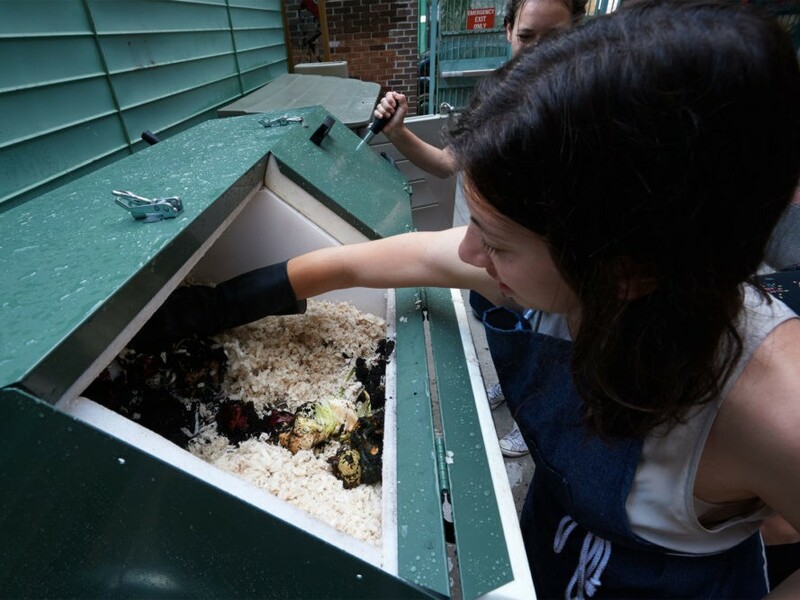 <p /> The prepared compost was brought from the composting bins in one of the college’s courtyards to the dye garden on the ninth floor of the Feldman building. Baird and Tsokanis, along with fashion business management student Amanda Farr, began sifting it, making sure no inorganic material had found its way in, and to create a spreadable consistency.